– the brains: Jeff Toister, customer service author, consultant, and trainer. 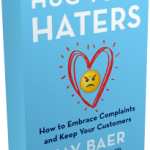 I met Jeff when we were both launching our first books — his was Service Failure: The Real Reasons Employees Struggle with Customer Service and What You Can Do About It — and I’ve enjoyed our friendship ever since. – the best bits: The Service Culture Handbook really is a handbook — it walks you through the steps to developing a customer-focused culture in your organization and refers you to a downloadable toolkit comprised of worksheets and guides for doing so. 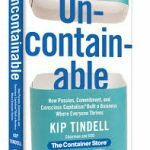 – the brand story: A highlight of the book is the story of Rackspace, the computer hosting company. Jeff recounts the unexpected solution when an internal network outage shut down service to its 300,000+ customers. We cannot promise that hardware won’t break, that software won’t fail, or that we will always be perfect. What we can promise is that if something goes wrong, we will rise to the occasion, take action, and help resolve the issue. Rackspace employees took the creativity and initiative to deliver on this promise at a critical moment when most other companies would simply have put up a service advisory on their website. The story demonstrates the power of a customer service vision that is articulated with conviction and executed with commitment. 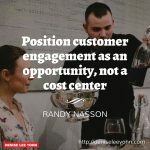 – the bottom line: The Service Culture Handbook is a terrific resource for organizations that want to lead the field in customer service. P.S. 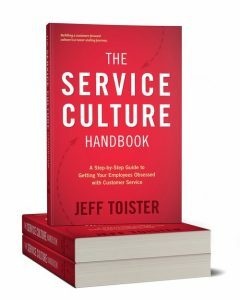 At the risk of seeming too promotional, I want to mention that Jeff has an “Early Purchase Program” in which you receive lots of cool benefits if you buy the book by Friday, April 7, 2017, so if you’re interested in The Service Culture Handbook , I recommend getting it now.